The role of the patient is no longer as a passive recipient of care. There is widespread commitment across the NHS to involve patients and carers in the design, planning and delivery of health services. Engaging patients about services is at the heart of the NHS. 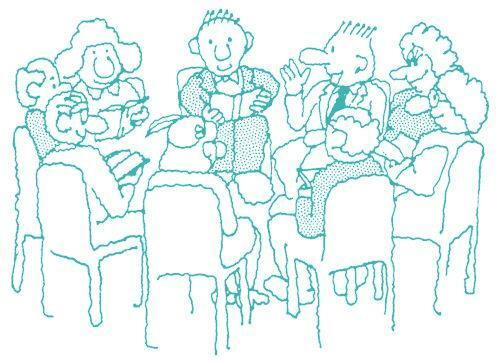 Every GP Practice has a Patient Participation Group (PPG). Patients can give feedback and comments about the Practice to the PPG. The Practice can also ask patients through this group for their comments on the services the Practice offers or planned improvements. Cuckfield Medical Practice has an active and vibrant Virtual Patient Participation Group (VPPG) with 12 patient members. We also have a growing number of people signed up to receive occasional emails from us. We are all local volunteers who are patients and carers that use Practice services. We are always delighted to hear feedback about local services from patients and carers and we can also forward minutes of meetings to patients on request. Each year we meet with our Patient Participation Group (PPG) and discuss our plans for the year ahead. At the end of each financial year we review those plans and actions, and produce a report in conjunction with the PPG.